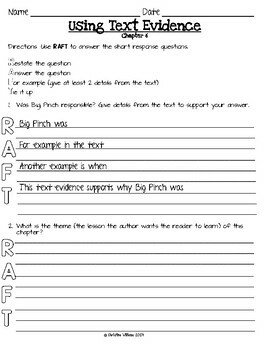 These RAFT questions were created to go along with Readygen Unit 2 Module B lesson 3 on chapters 5-6 but can be used by anyone reading The Birchbark House. 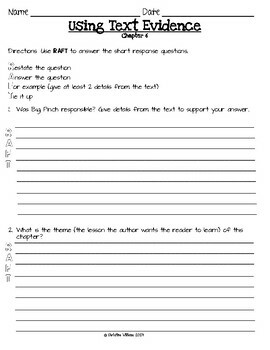 We use them in our ICT class for homework to help get our students used to organizing their short answer questions in preparation for state tests. 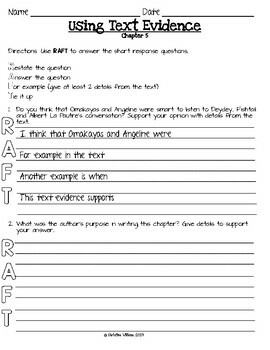 There is a scaffolded page we use with our ELLs and SEDs. There are separate questions for each chapter.